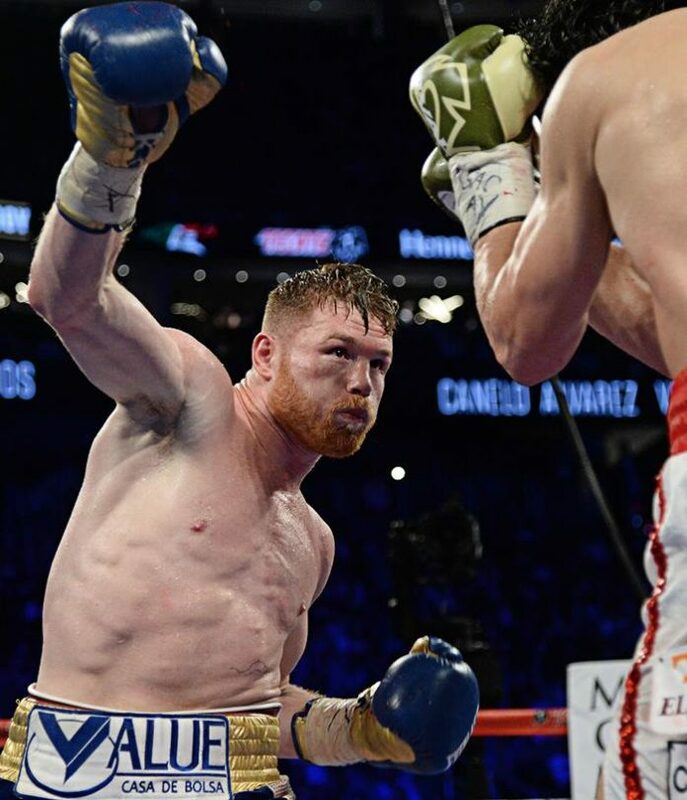 Saul ‘Canelo’ Alvarez dominates Julio Cesar Chavez Jr. The 164.5-pound (74.6 kg) bout Alvarez (49-1-1, 34 KOs) vs Chavez Jr (50-3-1, 32 KOs) headlined the pay-per-view event on Saturday May 6. The bout held at T-Mobile Arena in Las Vegas governed the 7-fight boxing program. Alvarez vs Chavez Jr went on distance. After 12 rounds the judges decision went in favor of Alvarez. He was awarded the victory by a unanimous decision: 120-108 x3. CompuBox reports that Alvarez out-landed Chavez 228 to 71. “[Alvarez] beat me, he beat me at distance. I wasn’t feeling that distance. He’s a very active fighter, he’s a good fighter. I haven’t had too many fights and I needed more distance and more speed,” said Chavez Jr.
“I thought he was going to fight. I would bring him into the ropes and I thought I would throw punches so I could showcase myself, but he wouldn’t do it. He just wouldn’t throw punches,” said Alvarez post-fight. Also on the night Joseph Diaz Jr. defeated Manuel Avila by a unanimous decision (99-91, 99-91, 100-90). Lucas Matthysse took a TKO in Round 5 against Emmanuel Taylor. As well, David Lemieux scored a unanimous decision against Marco Reyes (99-90, 99-90, 98-91). Ronny Rios defeated Daniel Noriega by TKO in Round 4, as well as Ryan Garcia defeated Tyrone Luckey by TKO Round 2. In addition, Joseph Aguirre defeated Angel Aispuro by a unanimous decision. Alvarez vs Golovkin is scheduled for September 16, 2017. The Mexican boxer will be defending The Ring title. The contest is for WBA (Super), WBC, IBF, and IBO middleweight titles.